15 Ways You're Damaging Your Eyesight And How To Avoid Them #Infographic ~ Visualistan '+g+"
We all agree that seeing clearly is important. Yet, we don’t always take the necessary steps to properly care for our vision. Those with perfect eyesight tend to take it for granted, unaware that certain bad habits can cause irreversible damage until it’s too late. 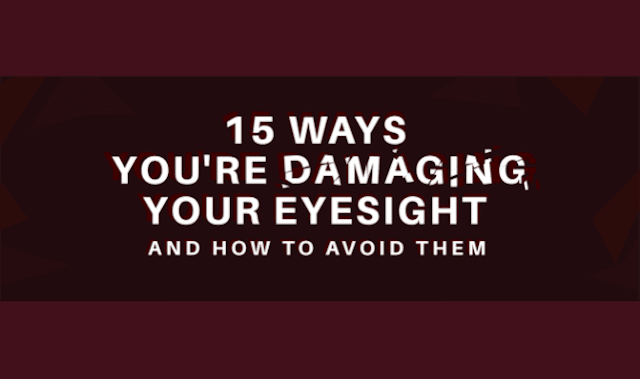 What are these bad habits that can damage your eyesight? Here are 15 to be wary of.